Ezra Wube (b. 1980, Ethiopia) is a mixed media artist who lives and work in Brooklyn, NY. Through autobiography his work references the notion of past and present, the constant changing of place, and the dialogical tension between “here” and “there”. Exhibitions include The 13th Biennial de Lyon, Lyon, France (2015); Dak’Art 2014 Biennale, Dakar, Senegal (2014); The 18th International Festival of Contemporary Art SESC_Videobrasil, São Paulo, Brazil (2013); and At the Same Moment, Time Square Arts Midnight Moment, New York, NY (2013). Residencies and awards include LMCC Workspace Residency Program New York, NY (2017); Open Sessions Program, The Drawing Center, New York, NY (2016); Rema Hort Mann Foundation, Emerging Artist Grant (2015); and the Triangle Arts Association Residency, Brooklyn, NY (2015). Ezra holds a B.F.A in Painting from Massachusetts College of Art (2004) and an M.F.A in Painting, Combined Media from Hunter College, New York, NY (2009). 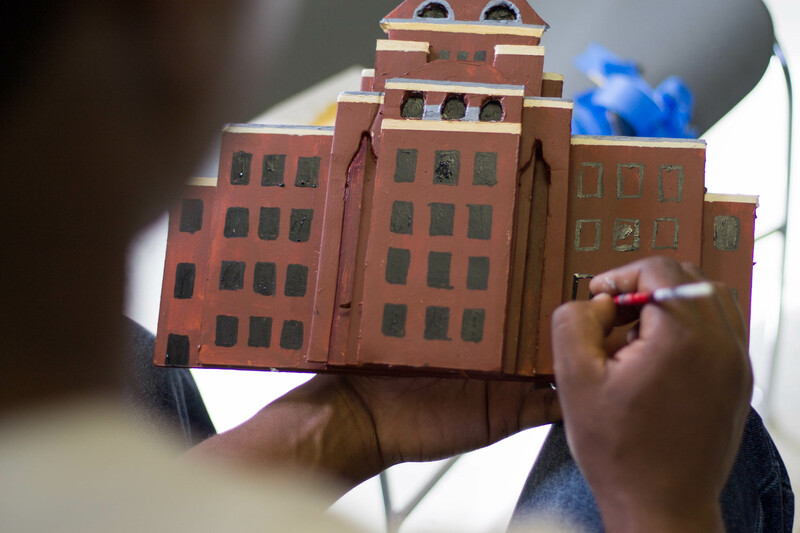 Over the course of ART ZONE CG-91, Ezra will create a participatory portrait of East Flatbush that takes Kings County Hospital as its point of departure. His process has three main phases: mapping, constructing and wishes. Visitors are asked to map their knowledge of the neighborhood; participate in constructing a diorama with objects, maps and drawings; and then make changes to the diorama-like portrait based on their wishes for the neighborhood. The intention of this interactive project is to facilitate in the learning and sharing of knowledge and to engage in a creative process that triggers awareness and memories of the everyday. Flatbushtopia / A place to be will be accompanied by documentation of the process, and will culminate in a stop-motion animation of the project in its entirety. Commissioned for the exhibition Jameco Exchange, Words of Wisdom is an interactive stop-motion animation conceived by mixed media artist Ezra Wube. 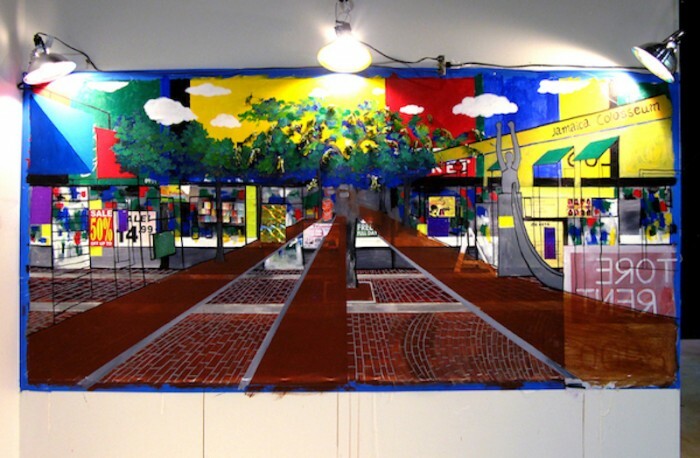 Prior to the exhibition, he walked around the neighborhood visiting stores and engaging passersby, asking for their own “words of wisdom” or a small material object to contribute to a painting of the 165th streetscape. From these materials, Wube creates a storyboard that translates words and materials into images and text through animation. Words of Wisdom—which also incorporates small objects that he gathered on his walks through Jamaica—will continue to evolve throughout the course of the exhibition. The artist will be present on-site each week to engage visitors who can contribute to the piece by drawing, painting, adding small objects or collaging. 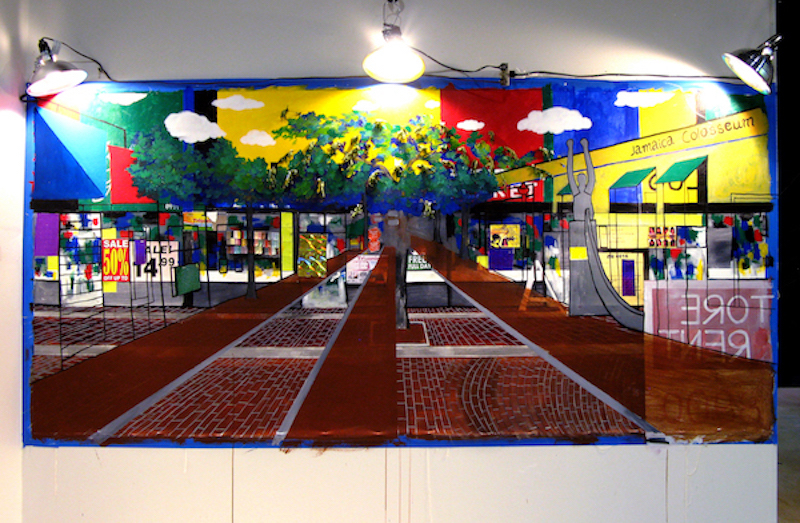 The animation-in-progress will be projected as it develops, above the working canvas, creating a collective portrait of the neighborhood.